It is very exciting to see how Iceland is growing as a running destination for active holiday seekers. There are over 120 running events every year and the number keeps increasing. 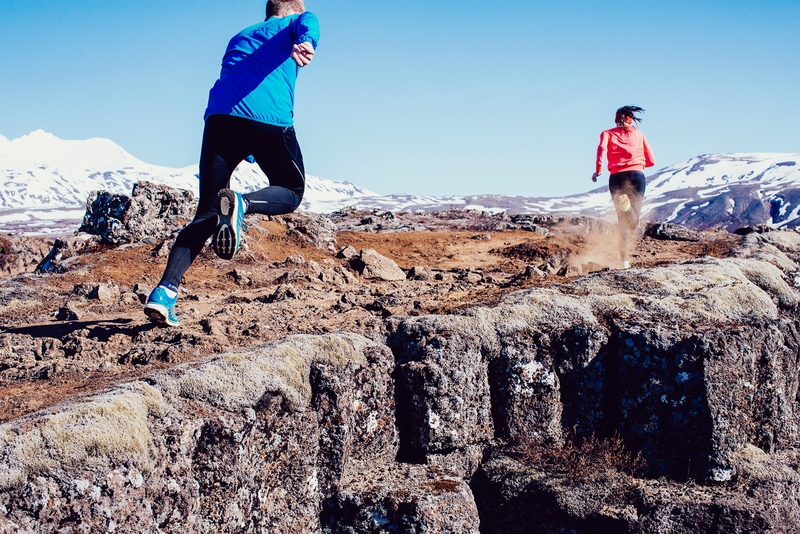 The Icelandic running scene has both plenty of road races and trail races on offer. The Reykjavik Marathon is the biggest running event in Iceland with almost 10,000 participants in marathon, half marathon and the 10km. The average temperature for Reykjavik in August is around 12°C or 54°F, an ideal temperature for long distance running. The Reykjavik Marathon route is very scenic and really showcases the beauty of the city. It takes you past many of Reykjavik’s main sights. The marathon and the half marathon follow the same route for the first ca 16 km but split up after that, the half-marathon runners head back downtown but the marathon runners take a larger circle around Reykjavik, mainly along the seaside. The Marathon Runners Association in Iceland organizes two race events each year: the Reykjavik Spring Marathon and the Reykjavik Autumn Marathon. The events have a really friendly atmosphere. Five local running clubs volunteer at the aid stations, each club has its own area and responsibility. These races are held by runners for runners and the community spirit is something that makes it unique. The course is on asphalt paths away from any street traffic. It is fairly flat and takes you through many beautiful parts of Reykjavik, including the most popular running areas in the city. The race starts in the beautiful Elliðaárdalur valley in the east part of the city and runners head west where they turn around and run the same way back. The marathon runners run this route twice. The Myvatn Marathon has a distinguished history and for a long time it was the only marathon in the country besides the Reykjavik marathon. It is still the only marathon that does not take place in the area around the capital, Lake Myvatn is about 490 km from Reykjavik. The race starts and ends at the fantastic Myvatn Nature Baths(https://www.myvatnnaturebaths.is/) The route goes around the beautiful Lake Myvatn and is fairly flat. Lake Myvatn and its surroundings are well known for its unique beauty and natural wonders The name of the lake translates to lake of the midges which is due to the huge number of midges in the summer. The area is one of the most popular tourist regions in Iceland due to its many and varied natural attractions. Eco Trail Reykjavik is a newcomer on the marathon scene, it was first held in July 2017. The race starts late in the evening at 10 pm but those running through the night are fortunate enough to do so when the summer nights here are at their brightest. The route is from A to B and the marathon starts close to Lake Kleifarvatn in Reykjanes peninsular. The route is very diverse and runners will experience different kinds of trails, lava fields, gravel roads, soft trails and some hilly areas with nice views. All the distances finish by the geothermal beach Nautholsvik in Reykjavik where you relax in the hot tub and even speed up your recovery by taking a dip into the cold ocean. The Mt. Esja Marathon was the first mountain marathon held in Iceland. The route is demanding and technical and takes you various ways up and down Mt Esja. Total elevation gain is approx. 3500 m and runners will have a great view over Reykjavik – if the weather is clear. Esjan, as the mountain is called by locals, is one of the most popular hiking destinations in Iceland and is also very popular with runners. It is only 25 minutes away from Reykjavik city by car.